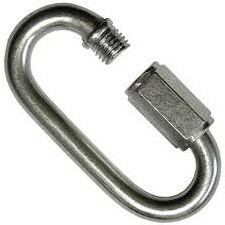 Mild steel quick links are simple and quick to install, can be used as a connector or terminator for wire rope and chain installations. Suitable for static - non-lifting applications. Mild steel enlarged opening quick links are as the standard series but feature a longer body and opening. Suitable for static - non-lifting applications.